I talked about the first cleanser of 2014 in my review of the Botanics Hot Cloth Cleanser I didn’t really like that though (it’s for sale in my Blog Sale) mainly because the oil/balm consistency was too heavy for my skin. So let’s change up the formulation. Something lighter, something a bit less oily. 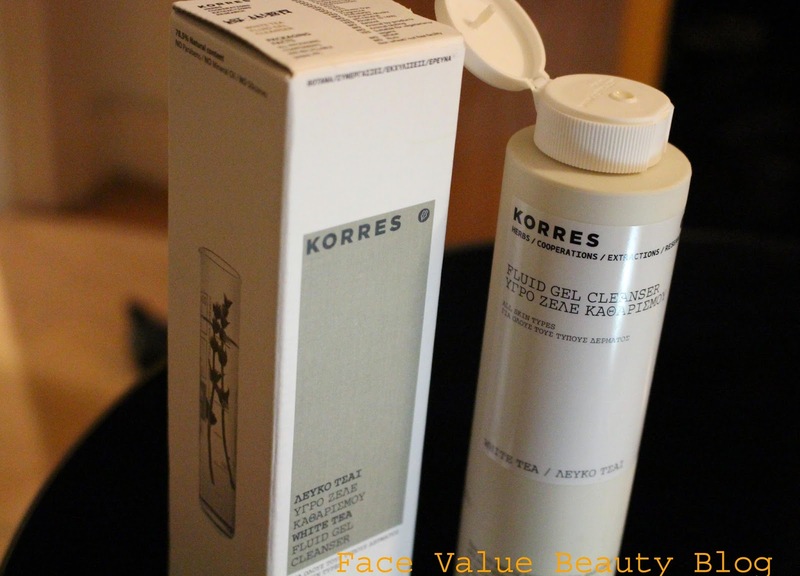 Mr FV’s lil sister bought me this gorgeous Korres White Tea Gel Cleanser for Christmas and it.is.awesome. HIYA. Minimalistic, natural and effective – this Korres White Tea Fluid Gel Cleanser is designed for all skin types. A lovely, silky gel which is a joy to massage over my face, it cleanses with a mild foam but without dehydrating the skin or leaving any of that squeaky-clean residue. I love the natural Korres ethos – this Greek skincare brand originates from the oldest homeopathic pharmacy in Athens and sources their organic ingredients locally. This gel cleanser smells amazing and I get a little smug feeling knowing that it has no parabens or any nasties. Check out the White Tea Cleanser ingredients list for ultimate organic skincare smug-ness. I love it – I’m only a recent organic skincare fan but this list just gives 100 reasons why you should go organic!! In fact, when the gel cleanser is rinsed off, a layer of oat proteins stays on the skin to moisturise and protect along with the antioxidants from the White Tea extract. My skin felt really comfortable and clean but not sticky! DID YOU KNOW? All varieties of Tea (black, green, white) come from the leaves of the same shrub, but their difference is the time of their harvest and the method of their processing! Really really like this cleanser – would definitely buy again if I had any sense of brand loyalty BUT I JUST LIKE TRYING EVERYTHING AVAILABLE TO ME IN THE WORLD. Possibly at the same time. Gah. I recommend it for normal/combination skin and for those who find oil cleansers a bit too heavy! 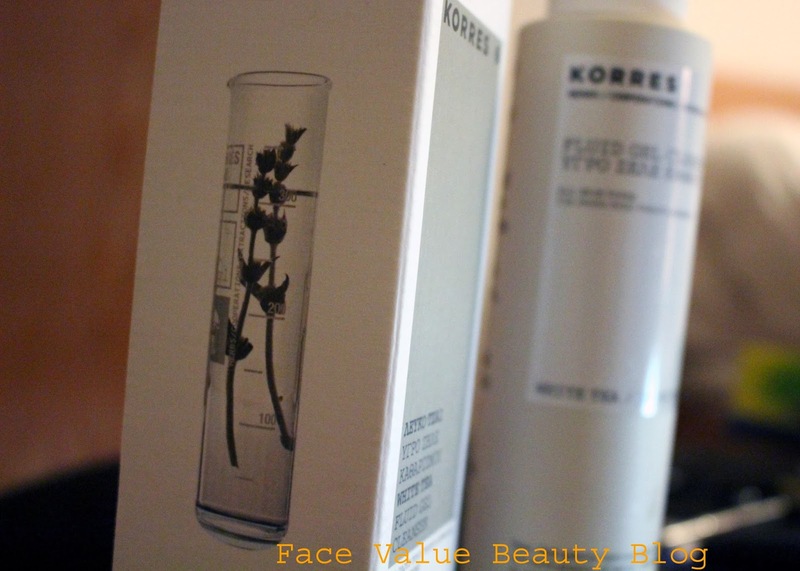 You can buy Korres online for anything between £10-£15 at ASOS, Feel Unique, Debenhams – myeh, google it. Oh and it lasts ages too, so I dont mind spending over a tenner on it. What do you guys use to wash your face?? Have you got a wash-off routine or are you a wipes/micellar water fan too? Next Post #MoneyMonday: How Many Bank Accounts Should I Have? Ooh a facial brush – i need to incorporate one into my routine – they're so good for circulation!! I'm far too lazy – i love a quick micellar clean even though its nowhere near as natural!! 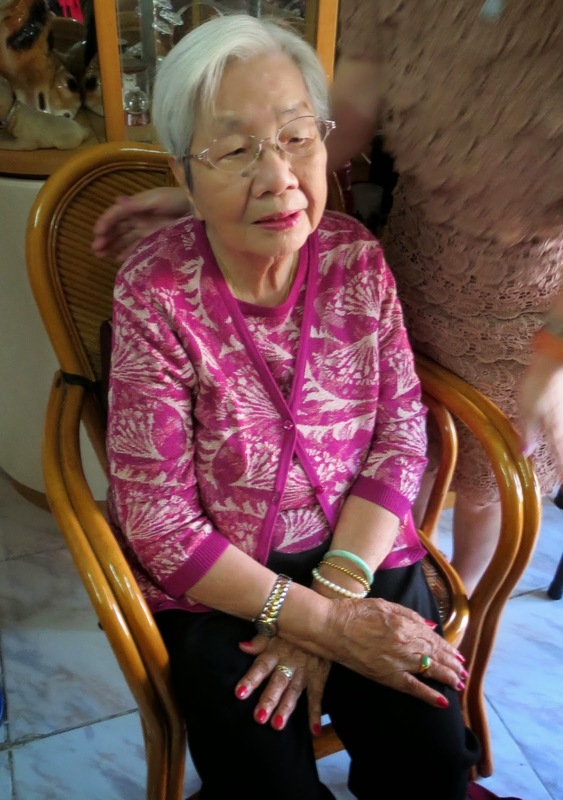 Thank you for this lovely post!I m a fan of orange flowers and geranium and rose water , that I extrate by my self!Yes, your nan is so cute, she doens t do her age.Have a nice week my dear!